Calling all children’s centre workers! Save Our Children’s Centres: Petitions! The Friends of Lambeth Library have issued their latest newsletter with important dates coming up. Reply to Jane Edbrooke – yes, trade unions should be political! Lambeth libraries strike on 22-23 March – 85% of council members support them! Lambeth UNISON has launched a consultative ballot across the council work force today. The ballot asks council members whether they are willing to take action in support of the ongoing libraries dispute. 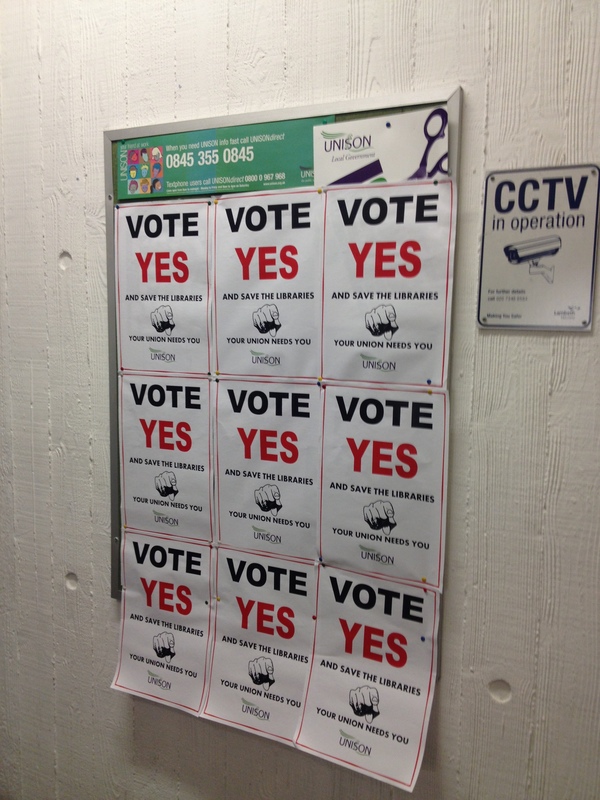 UNISON activists have put up posters in the major council buildings, and leafleted every desk. There will be more stalls and floorwalking later this week to get the vote out. If you are a member of UNISON in the council and have not got your email then please contact us and we will send you a link.